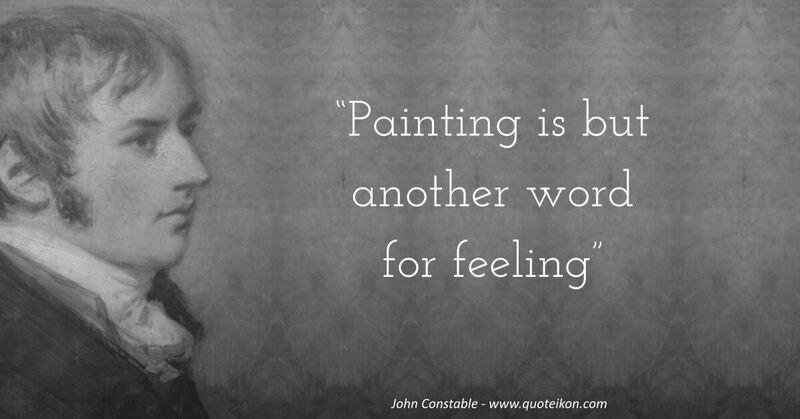 Quotes about John Constable: The French Romantic artist Eugène Delacroix was inspired by him when he said: "He and Turner were real reformers. They broke out of the rut of traditional landscape painting. 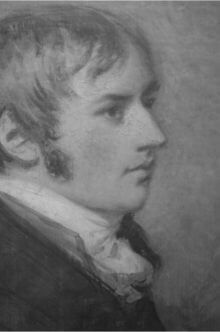 Our School, which today abounds in men of talent in this field, profited greatly by their example"
Henry Scott Trimmer wrote glowingly of his artistry: "As I write, June 10th, 1861, John Constable stands next to Gainsborough as a painter of English landscape. Whoever passes him will paint well indeed"
"I never saw an ugly thing in my life"
"Landscape is my mistress - t' is to her that I look for fame - and all that the warmth of the imagination renders dear to man"
"When I sit down to make a sketch from nature, the first thing I try to do is to forget that I have ever seen a picture"
"No man who can do any one thing well will be able to any different thing equally well"
"The great vice of the present day is bravura, an attempt to do something beyond the truth"
"I have done a good deal of skying for I am determined to conquer all difficulties"
"Still Nature is the fountain's head, the source from whence all originally must spring"
"We see nothing truly till we understand it"
"My skies have not been neglected, though they often failed in execution"